The University of Alabama’s Department of Chemistry and Biochemistry is committed to serving the people of the state, the region, and the nation.  Our faculty, staff, and students are eager to provide the benefit of their expertise through colloquia, demonstrations at local schools, and scientific demonstrations at campus events such as homecoming. This colloquium, hosted annually by the Department of Chemistry and Biochemistry, brings students from schools throughout the region to the UA campus to tour our facilities and learn about our research instrumentation, which includes equipment that they would typically not have access to at their home schools. 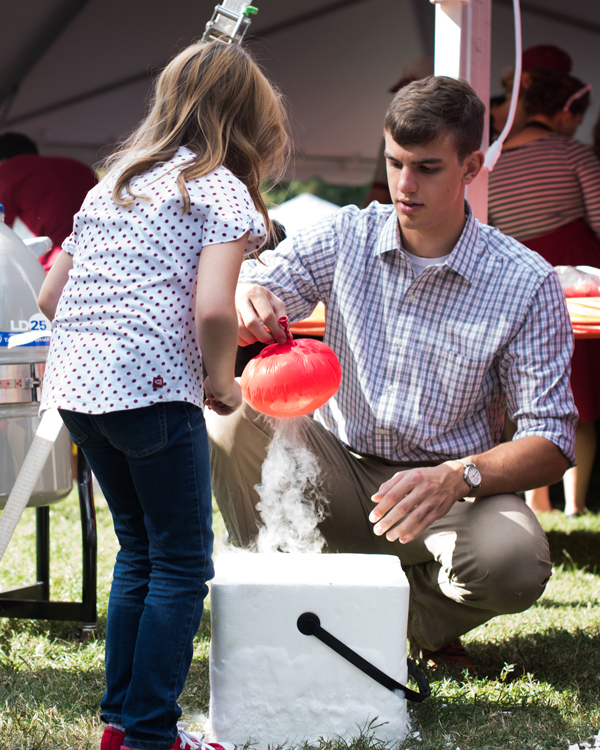 Each fall, chemistry professors and graduate students assemble on the Quad to conduct hands-on experiments and demonstrations geared toward elementary and middle-school students. Our faculty and graduate students regularly visit local elementary and middle schools to perform chemistry-related demonstrations. We are a proud participant in this National Science Foundation program, which supports undergraduates’ participation in both ongoing research programs and projects designed specifically for REU participants. Learn more about the REU program. Chemistry faculty participate in the annual Science Olympiad, hosted jointly by the UA College of Arts and Sciences and College of Engineering. More than 500 middle and high school students participate in a variety of hands-on and quiz-style competitions; winners of this regional event go on to compete in state and national competitions.